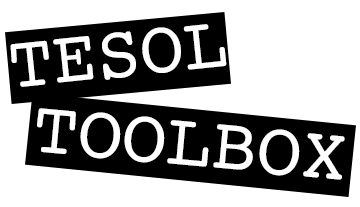 This is the first of what I hope will be a lighthearted series of variations on classic TESOL activities. Setting up. You’ll need a list of words you’d like learners to revise/consolidate. Divide learners into groups of 3 or 4 and sit one learner from each group at the front of the classroom in the ‘hot seat’ facing their group but with their back to the board. Procedure. Write a word on the board. The team members facing the board explain the word (without saying the word) to their person in the ‘hot seat’, who tries to guess what word it is. If they guess correctly, they win a point for their team, and the team with most points wins. After each word, a new team member comes to sit in the ‘hot seat’. At the start of the game, cover up all the words. On an IWB you can draw a rectangle over each team’s words to do this. On a wipeboard, you can just stick a large piece of paper over the words to hide them. One learner from each team sits in a ‘hot seat’ with their back to the board. Procedure. Reveal the first word in each group’s list of words. Learners in the ‘hot seat’ must guess what their team’s first word is with their team’s help (as in regular backs to the board). Once someone’s guessed their word, that team swaps person in the ‘hot seat’. You will reveal the next word on that team’s list without stopping the game. Continue like this until one team has guessed all of their words. You don’t need to keep stopping the game to write up words one at a time, recording the score and switching the person in the hot-seat. It is even more competitive and lively, as learners can clearly see which team is in the lead.